The great Ugo H. Sodini Sr., of Baldwin Borough, a former co-owner of the Roma Bottling Co., passed away back in 2005, and today, the soft-drink bottling plant is the location of “Roma Lofts” eight recently constructed upscale apartments and condos. 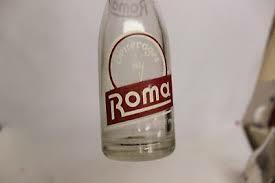 For now, the Roma Bottling plant and the story behind the Skipper soda brand is only a memory. As a result, we are left with the great artifacts and collectables that will keep the legend of Jacob and Ugo Sodini and their American dream never-ending. When I received my first Skipper Beverages bottle in my collection, the main thing that stood out to me was that catchy slogan on the back of each bottle “Its Soda-Licious” I can just picture Ugo preaching this fancy phrase with his customers and those young kids riding their bikes up and down Vine avenue.